I have always loved to travel and do some multiple media. I like using my DC to capture every wonderful thing when travelling. I have created this website that I hope it will be our platform to share our every fantastic trip and amazing experience through our photos, videos, travel tips and travelogues. 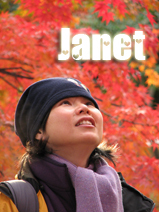 I dream of one day being a travel writer myself. You are always welcome to click in and get in my dream to share my travel experience, not until I am lucky enough to be paid to travel as a professional traveler. I am also a keen traveler, but I love the traditional film photography more than the digital one. 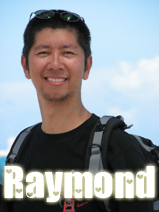 When Raymond came up with the idea of this personal travel website, I had my full spiritual support of him. It is always good of being a “commander”, then the so-called professional traveler will take me to destinations I want to go without me paying effort. Ha...Ha...Ha. They are all experiences we cherish. Relax and enjoy.